We’re lucky to do what we do. To design. To work in a field where creativity and collaboration are table stakes. Let’s think about how we got here… Did it start with an early love of sketching? Was skill, alone, enough to land those first design gigs? If we’re honest, not so much. 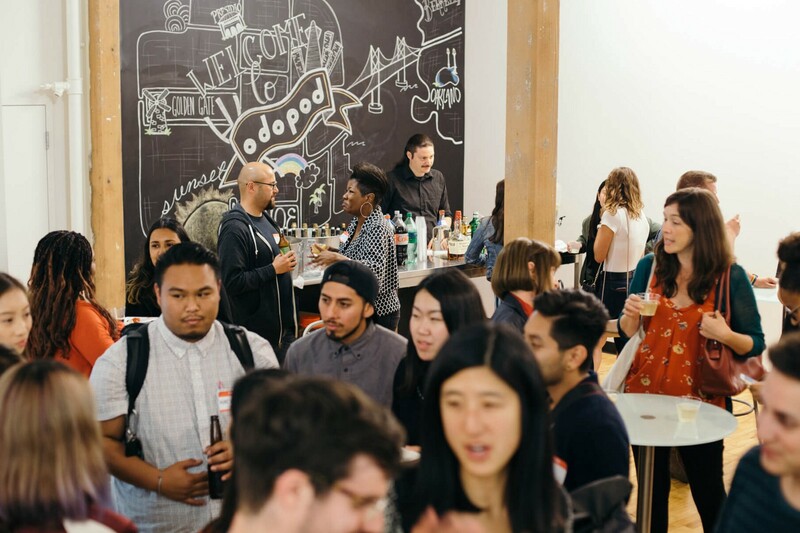 At Odopod, we’ve been asking ourselves how we can work towards having a more inclusive, more diverse range of backgrounds, experiences, and worldviews. And how, in turn, can we use practices of design to tackle big, pressing social issues of inequality outside of our industry? 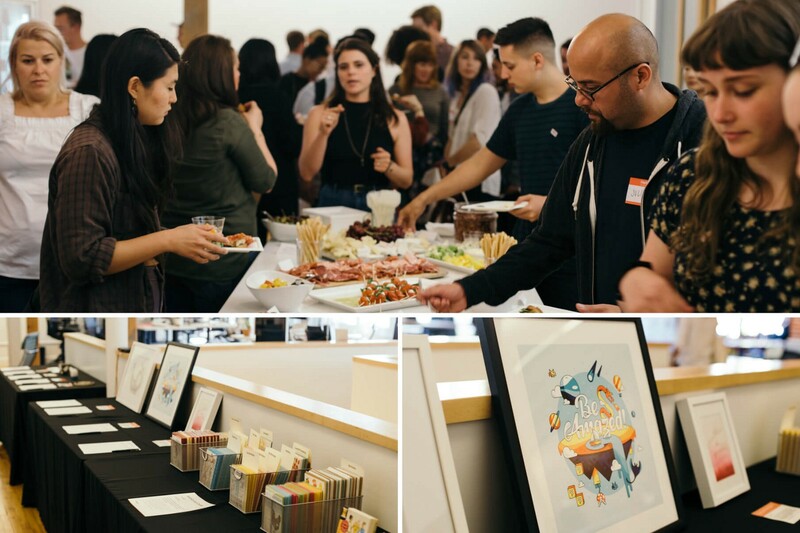 This was the focus of our recent AIGA SF Design Week event. 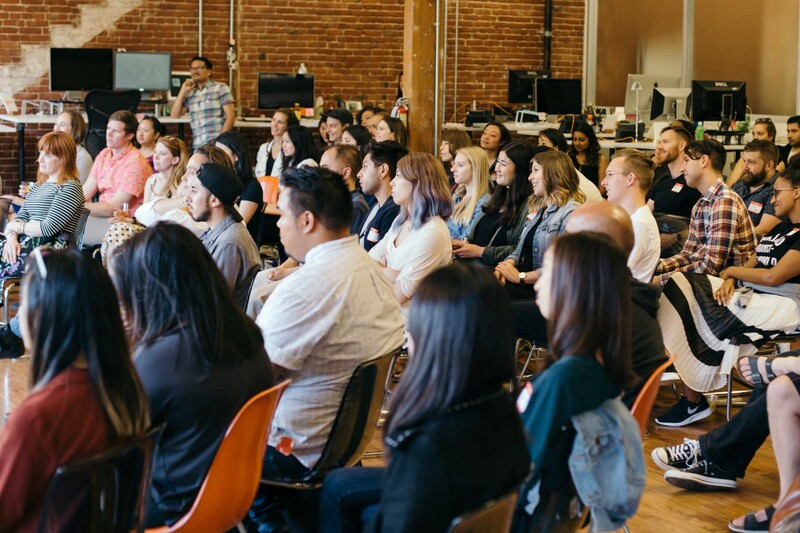 We sent out an open invite to explore diversity and inclusion alongside experts from the fields of science, technology, and design. And the response was awesome. Maurice Woods, Executive Director and Founder of Inneract Project — a nonprofit that provides free design classes and initiatives to youth from underserved communities. Lamia Himdach, Co-Director of ChickTech, Bay Area chapter — a nonprofit dedicated to empowering girls and women in technology. Neal Ramus, Manager of Youth Programs at the California Academy of Sciences. Chris Kurjan, an independent consultant and human-centered design researcher and practitioner. 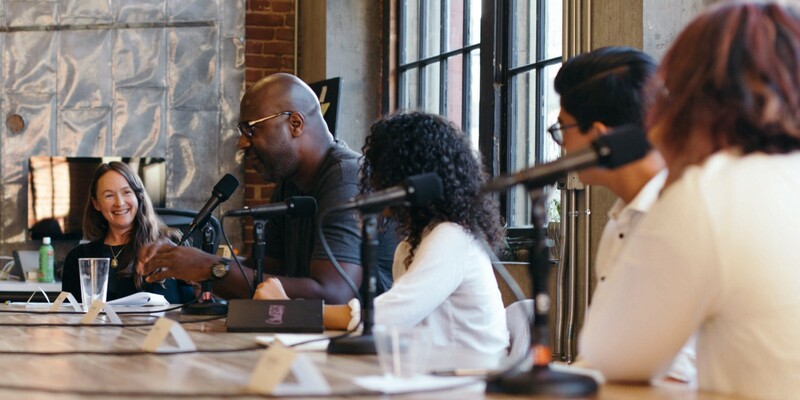 The discussion was wide-ranging and rich, touching on everything from workplace bias to technology’s impact on socioeconomics to the current political climate and how it makes issues of equality so important. 1. When you’re creating products that influence how users behave or the choices they’ll face, consider diversity from the start. 2. Empathy can help broaden perspectives for both designers and end users. Find ways to instill it in your process (better yet, in everyday life). 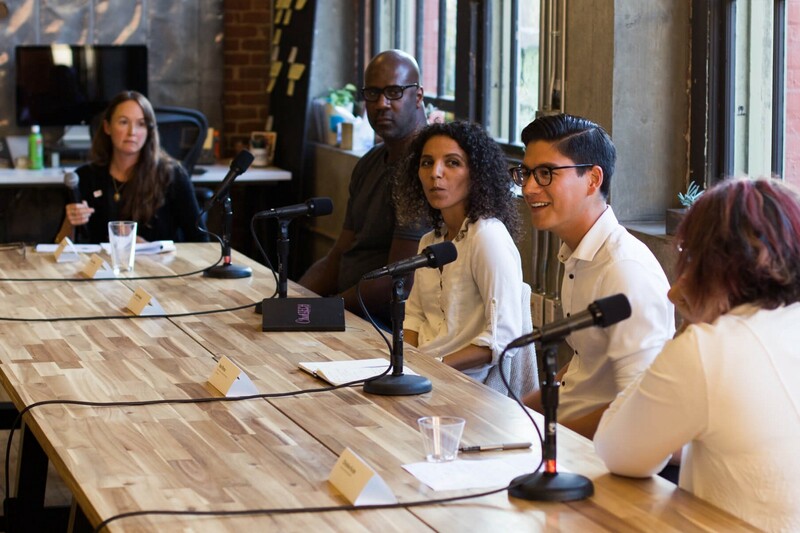 “To understand the behaviors of users, you have to be able to ask questions of users and challenge yourself and the things that you’re designing to meet the needs of different races and different people and different ideologies,” said Maurice. 3. At some point, you will face close-mindedness, inequality, and other obstacles. Push on. Work for what you want, and get used to iterating. It’ll pay off. On that front, Chris shared some compelling advice. “For those who aren’t born in power or put in power, you need to be able to get a vision, and you need to be able to get past all the ‘no’ you’re gonna hear,” she said. “You need idea generation skills and muscles, and you need to be able to prototype and experiment.” Yes, yes, yes. 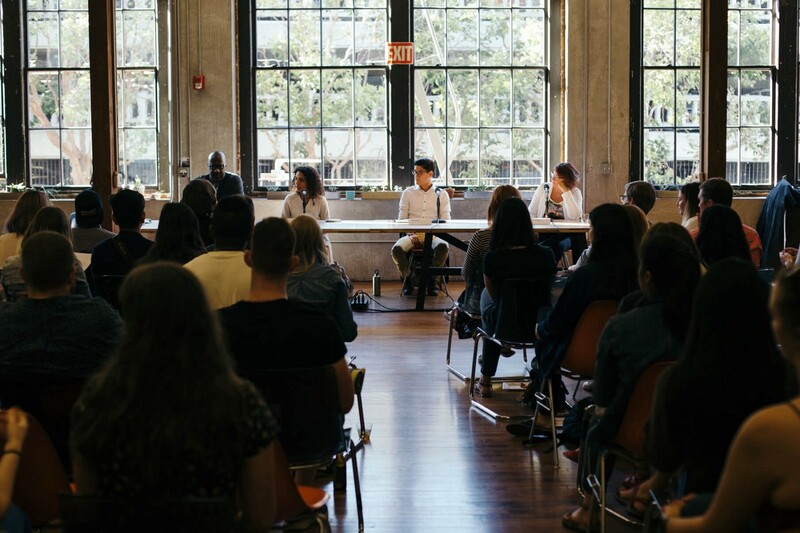 The panel discussion was followed by a community mixer full of lively conversation with folks from several Bay Area design agencies. We had drinks, snacks, and bid on silent auction items donated by local artists. Proceeds from the evening will help bring design thinking, STEM training, and educational programming to youth in underserved communities. All in all, it was a wonderful event and just one of many diversity-minded discussions we’ll continue to have both in the office and our industry. Thank you to all who showed up, spoke up, donated, and participated! Odopod is a digital design agency. We bring together strategy, design and technology to help innovative companies create new offerings.